There are 7 species of sea turtle in the world and we are lucky to have the endangered Green turtle and Olive Ridley turtles visit us regularly at Turtle Bay. 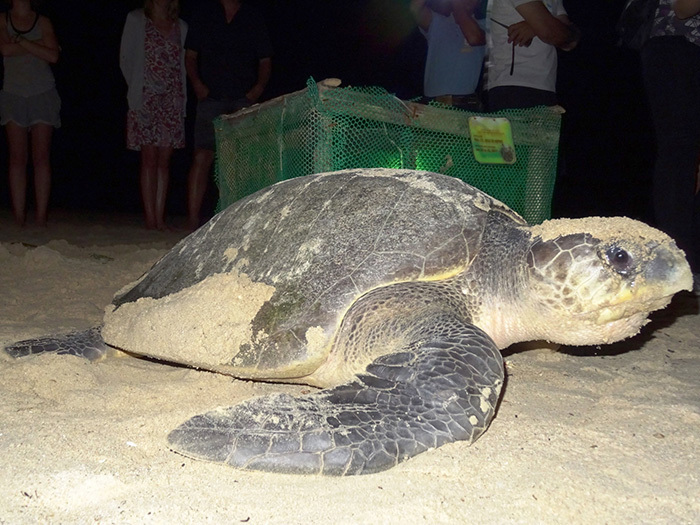 Eggs are laid on our beaches from October to March and hatching is between November to May. The Green turtle has the most numerous and widely dispersed nesting sites of the seven species, and was once highly sought after for its body fat, a key ingredient in the popular delicacy, Green turtle soup. Although it has become illegal to trade them in many parts of the world, Green turtles and their eggs continue to be consumed. Nesting areas throughout tropical regions are often on islands and coral atolls. Adult size length 80-120 cm. Hatching 80-120 eggs per clutch. Lay 2-5 times per season. Reproduce every 2-4 years. The Olive Ridley turtles are omnivores, eating a variety of prey including crabs, shrimp, lobster, sea urchins, and jelly fish. The average adult weight is 80 - 100 lbs and up to 2 feet long. All female turtles come back to their birth place to lay their own eggs once they reach sexual maturity around 22-25 years old. 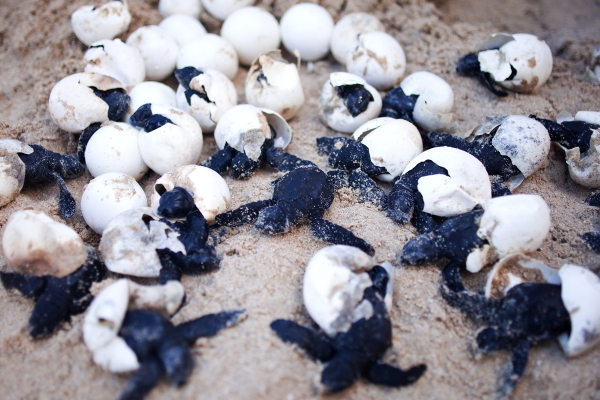 We are happy that over 12 years of protecting the turtles, each year more and more turtles are laying their eggs. Click below to watch our turle video.